For domestic dwellings without mains drainage, Klargester's Alpha septic tanks provide a reliable, economic and efficient solution to your sewage disposal needs. 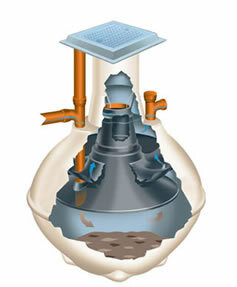 Alpha is a range of septic tanks from Klargester, the leading UK manufacturer of off-mains drainage products. They combine Klargester's experience with the latest production technology to provide a product to meet the needs of both property owners and installers, making Alpha the No. 1 choice. The manufacturing process minimises styrene emissions and reduces waste - all the better for our environment. For applications for more than 10 people we strongly recommend to contact Klargester for advice.